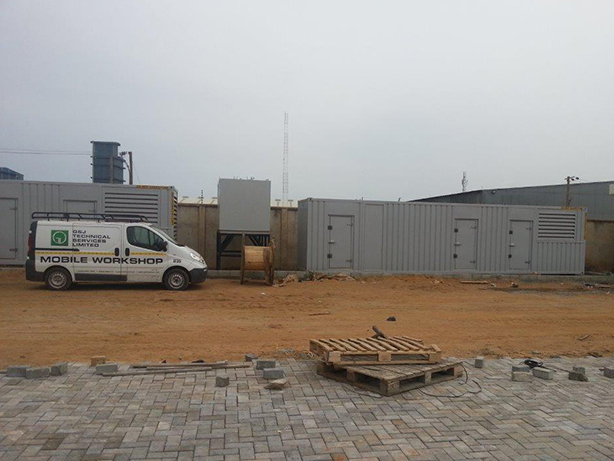 2 x AJ1350 synchronised Mitsubishi powered sets have been supplied in containers for the Ghana Port Authority. Powered by the reliable Mitsubishi S12R-PTA engine. 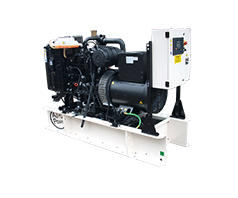 To meet the load demands and the environmental conditions on this project, the genset size, control philosophy and enclosure where carefully considered. 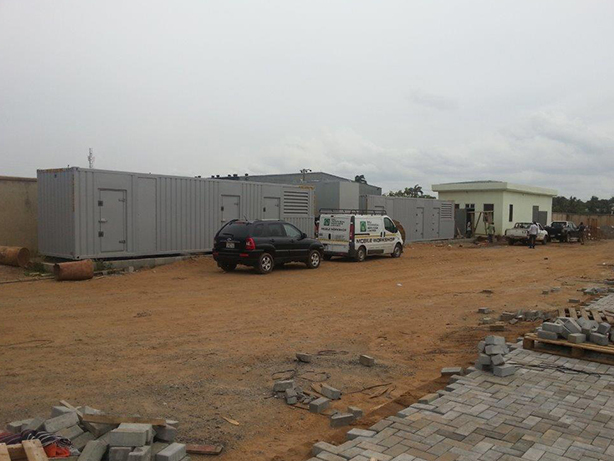 The gensets were supplied with set mounted InSight6000 synchronising panels complete with motorised circuit breaker. 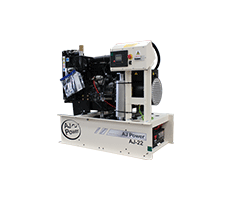 This enables the sets to operate in a Load Demand Start / Stop scenario via a 4000amp ATS panel which was also supplied by AJ Power. The containers are complete with 2,400 litre day tanks. The enclosures were designed to meet a sound level of 85dBA@1m ensuring appropriate cooling capacity within the given ambient conditions. The enclosure was also supplied with motorised louvres and heaters. 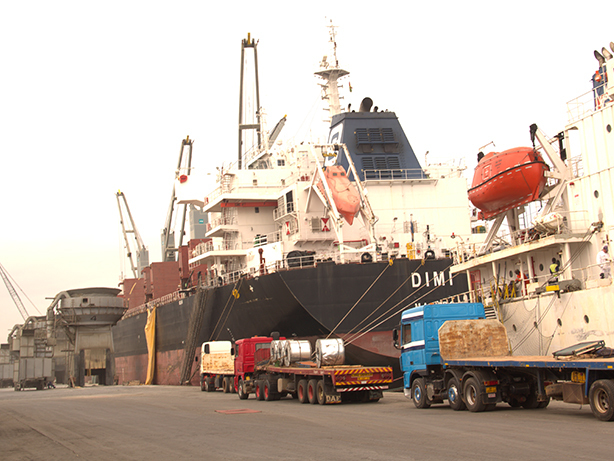 As the generating sets are located at a Port, the saline environment can be harsh. 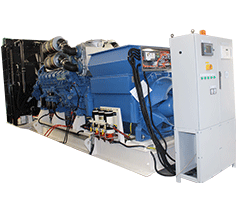 Additional AC alternator protection was provided to withstand these conditions. The system was also supplied with a 10,000 litre bulk fuel tank which automatically fills the 2,400 litre day tanks. 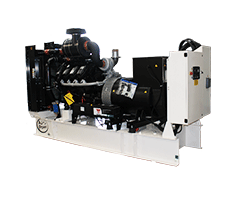 These are included within each generating set enclosure. Given the saline environment, additional alternator protection was supplied.